Can You Dig It? 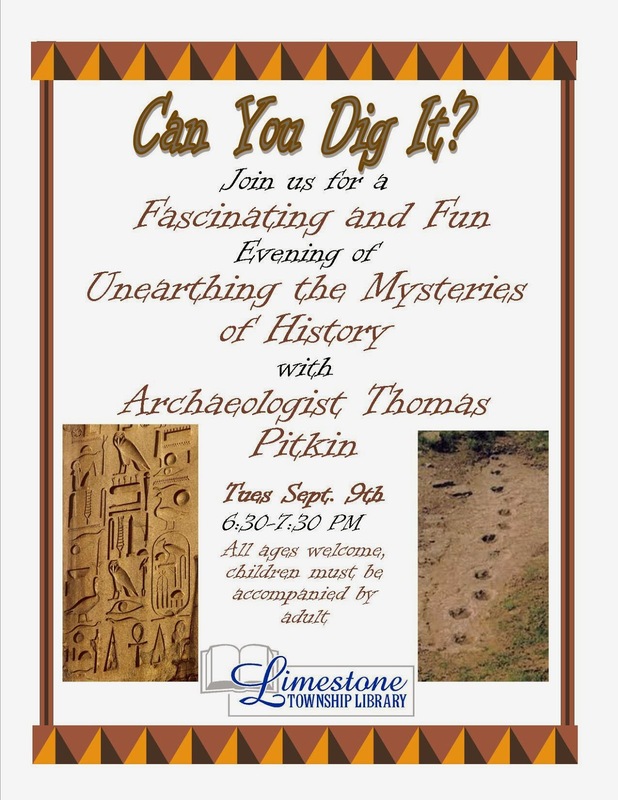 Join us for a fascinating and fun evening of Unearthing the Mysteries of History with Archaeologist Thomas Pitkin on Tuesday, September 9th from 6:30-7:30. All ages welcome, children must be accompanied by an adult.